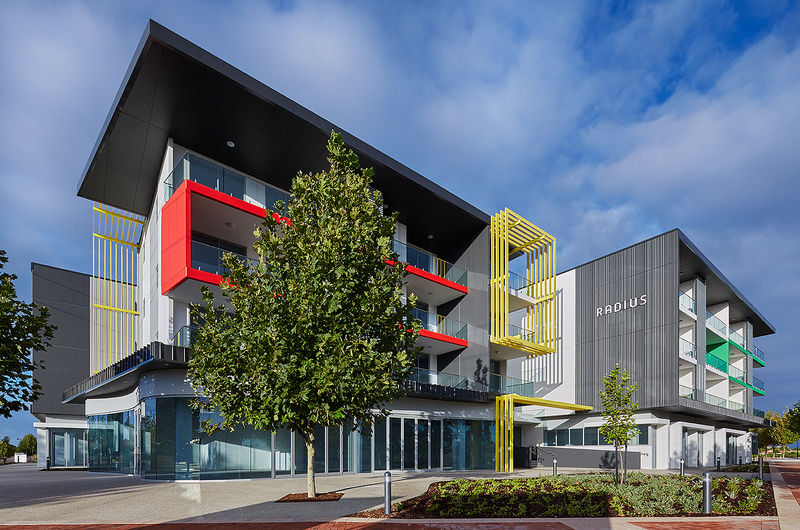 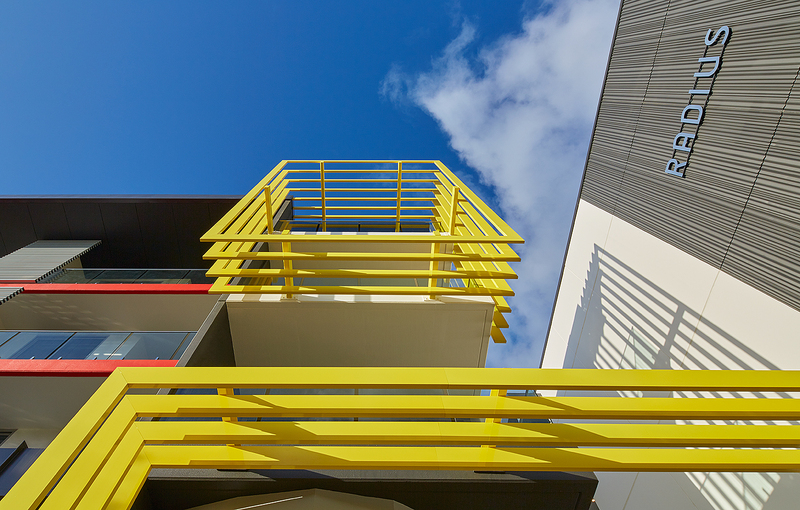 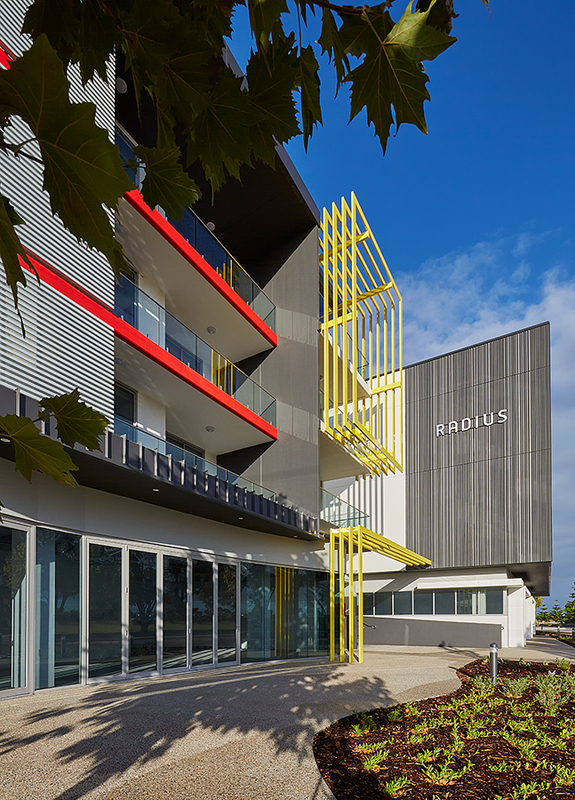 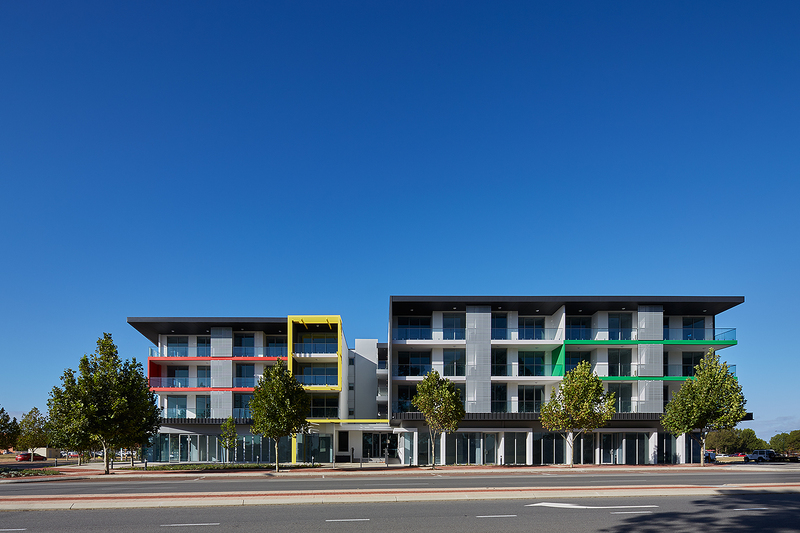 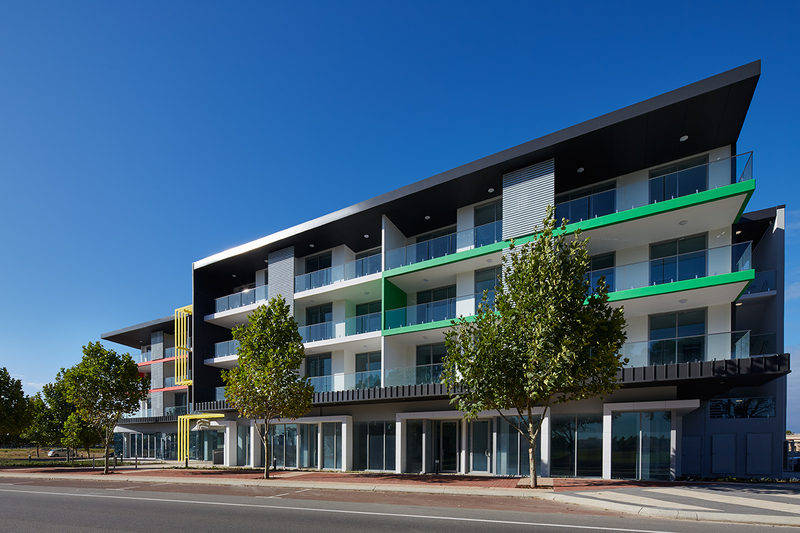 DMG was engaged to design and document a mixed-use apartment and commercial/retail development at the intersection of Chalgrove Avenue and Louise Street, Rockingham. 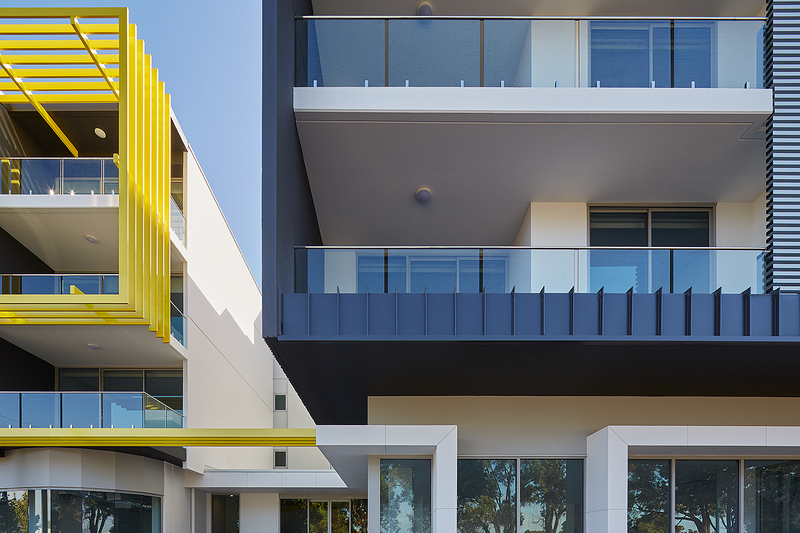 The architectural response to the brief seeks to maximise natural light penetration and cross-ventilation by locating apartments in four zones separated by landscaped courtyards and connected by open walkways. 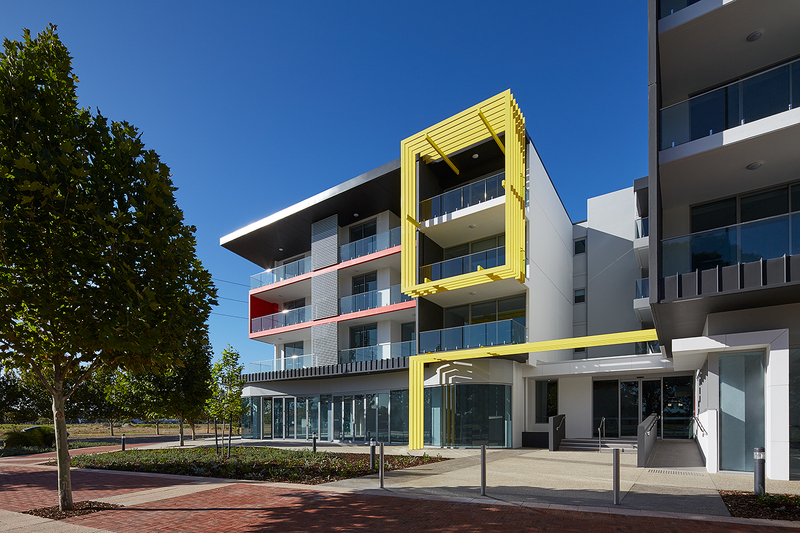 The zones are oriented in response to prevailing weather in Rockingham, ensuring liveability is enjoyed by all residents. 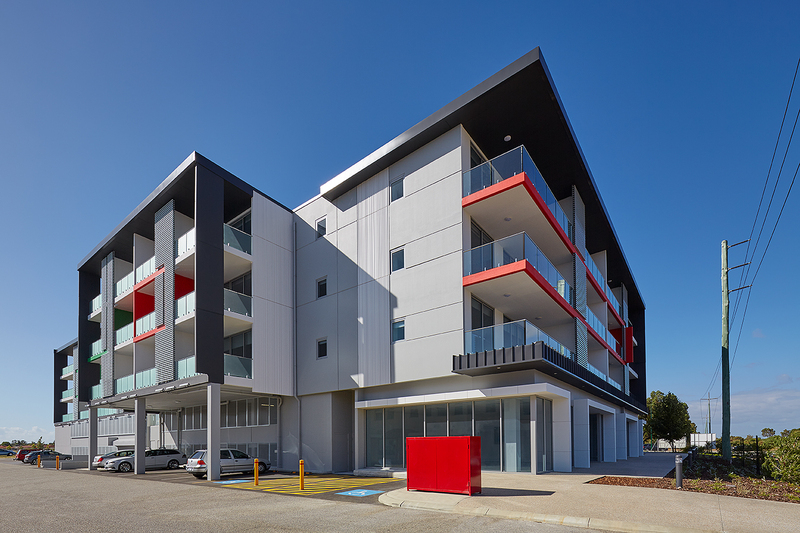 A strong presentation at pedestrian level is achieved with additional internal height provided to the retail and commercial tenancies, located to the primary street frontages, as a result of two levels of parking behind. 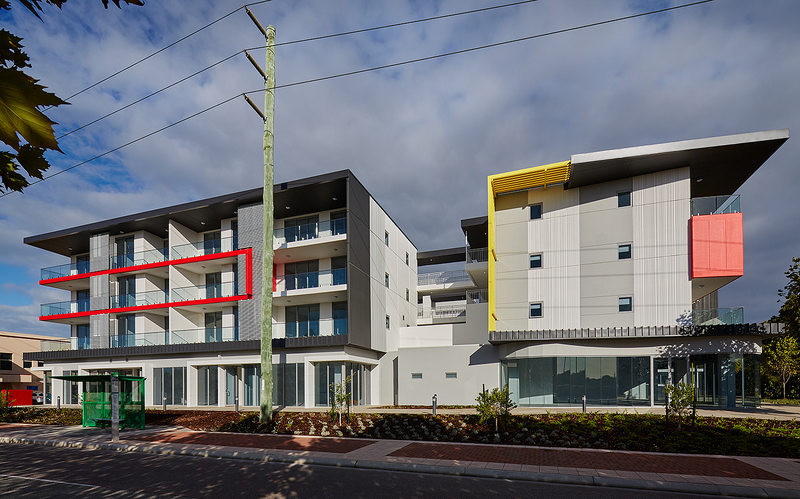 Construction of the Apartments was completed in early 2016.